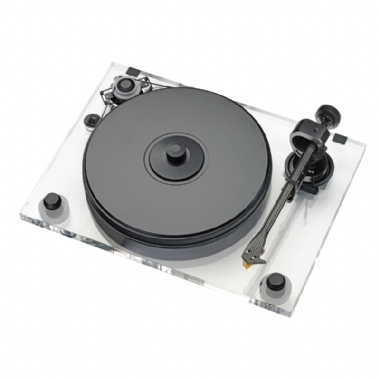 The highly acclaimed Pro-Ject Xperience turntable in the stylish acrylic finish, supplied with a Pro-Ject 9CC Evolution Carbon Fibre tonearm and Ortofon Quintet Blue high-quality MC Phono Cartridge (worth £349). A fantastic and highly-praised combination, suitable for a wide variety of listening styles. Includes Perspex Dust Cover. Please Note: The image shown pictures a 2m Bronze mounted on the Evolution tonearm. This package includes the superior Ortofon Quintet Blue Moving Coil cartridge.